Advancements in technology have transformed multiple industries, and the cloud is one such technology that has taken almost every business sector by storm. In general, SMEs have benefitted the most from the cloud technology. SMEs are usually pressed for time and budget, and the cloud technology offers diverse features and functionalities that help them address and overcome these challenges. SMEs have reaped the most benefits of the cloud technology in the finance and accounting business processes. Finance and accounting are highly specialised enterprise processes, and they require careful attention and dedicated resources. 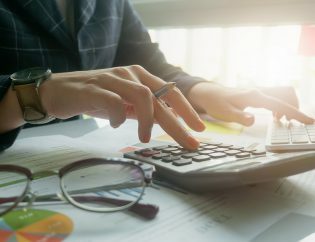 However, it is not always possible for SMEs to allocate these dedicated resources due to budgetary constraints; therefore, they prefer accounts outsourcing, bookkeeping outsourcing and even tax outsourcing companies and service providers. The concept of outsourcing is based on the theory of comparative advantage, which states that entities/individuals should specialise in what they do best and offer services in their field of specialisation. Following the same theory, SMEs should focus more on what they do best and hire a cloud accounting outsourced service provider who specialises in addressing accounting concerns. An accounting outsourcing company also sets the field for a level and mutually beneficial business relationship. The cloud enables both SMEs and service providers to easily avail each other’s services, with both operating in their respective fields of specialisation. Moreover, outsourcing allows more time to SMEs to focus on their core business processes. 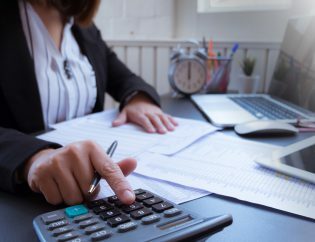 Listed here are a few of the major benefits that SMEs can reap by outsourcing their finance and accounting processes to the cloud. 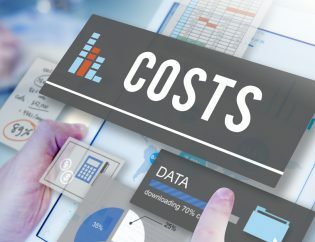 Reduced costs: Cost in the foremost area where cloud outsourcing trumps the traditional on-premises software. With cloud-based accounting and finance, SMEs do not have to make an upfront, lump sum investment for purchasing any accounting software or buying and setting up a server for hosting the purchased software. This reduces the IT fee for professional services while completely eliminating the installation fee. 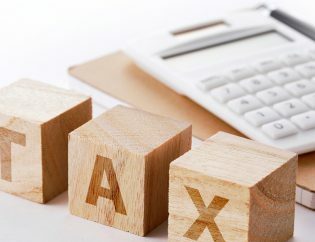 Moreover, when tax regulations and accounting guidelines are changed by government agencies, SMEs don’t have to purchase or install any updates because the monthly/annual subscription fee they pay includes the cost for updates, which are delivered by the service provider as and when available or needed by the client. Tax outsourcing companies are experts who focus completely on managing tax related regulations for companies. There are even dedicated firms to take care of self-assessment tax return outsourcing who handle this core area to benefit clients. Real-time financials updating: With cloud computing, all accounting and finance information and data are updated in the real time with no lag. 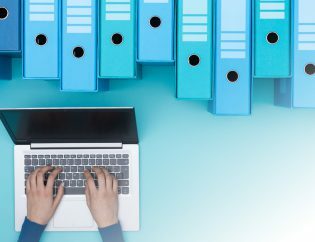 Without the cloud, if financials were to be changed, it would require SMEs to manually update the associated data at each stored location, including files, ledgers and forms. Cloud outsourcing eliminates this manual labour and automatically updates all databases in the real time. 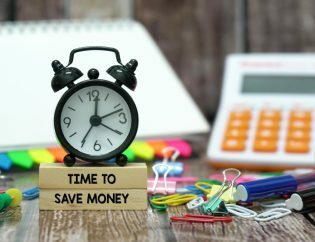 This helps SMEs with savings in terms of time as well as money. It also relieves SME owners from the potential headache arising from the lack of data consistency, due to the absence of real-time information updating. Easy accessibility to finance and accounting data: The cloud technology offers SMEs the advantage of on-the-go information which is delivered right to their fingertips on their mobile devices. 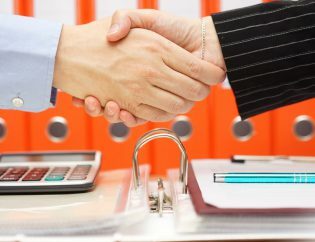 An internet connection is all that is required for an SME owner to access the cloud applications that store the company’s finance and accounting information. This flexibility was not available in legacy or traditional systems. With cloud outsourcing, SMEs’ business owners, especially those who travel frequently, can readily access and review their accounting information on their mobile device without being physically present at the company premises. Protected data and financials: Cloud service providers implement the highest levels of security standards to ensure clients’ data and financials are safe from attacks and losses. When data is stored in cloud, it can only be accessed by authorised personnel. 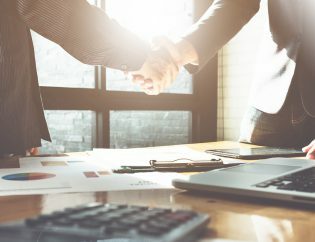 Without the cloud, SMEs store their financial data in computer systems that are always prone to employee thefts and computer viruses. The latter could also lead to a complete system breakdown, thereby making data retrieval not only difficult but also expensive. Therefore, for SMEs, who are always on the lookout for cost-efficient services, the cloud is the best bargain, offering both security and cost savings. Team-wide availability: Cloud outsourcing ensures team-wide data accessibility to only authorised personnel. Moreover, the data is available at all times. Cloud systems are also highly scalable—any new members can be easily added by setting up an authorised user profile, thereby facilitating team-wide collaboration. Team members no longer need to gather at a board room to review and make accounting decisions. Decision-making can be done on-the-go, very similar to accessing the data stored in cloud. Priority fixes: With traditional software systems, SMEs would have to wait patiently for the release of the next update for bugs to get fixed. However, with cloud outsourcing, they can access the comfort of priority fixes. Cloud service providers handle clients’ concerns on a priority basis and provide immediate fixes to any detected errors and bugs. Deployment flexibility: Since SMEs work on a tight budget, their necessities keep changing. The flexibility offered by cloud outsourcing can help SMEs address their changing needs with ease. Depending on the available resources and the requirements of small businesses, cloud service providers can offer flexible packages via the pay-as-you-go model, which may be availed on hourly, monthly, bimonthly, quarterly, or annual subscription. Apart from cost flexibility, cloud providers also offer deployment flexibility. SMEs can employ the public, private, hybrid, or multi-cloud deployment type on the basis of their business needs. 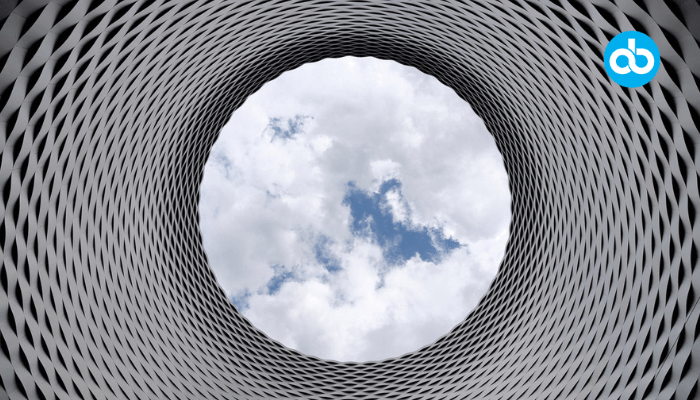 Automated data backup and restore: Automated data backup and restore is another area in which cloud outsourcing trumps traditional accounting. With traditional accounting systems, SMEs had to spare the time for periodic data backups and even assign a dedicated resource who would manually update the latest financials and accounting information. Cloud accounting enables the automatic backup of accounting and financial data to an offsite location. This eliminates the possibility of a forgotten or missed data backup and even the chances of human errors. Moreover, since the financials are backed up to an offsite location, they are also protected from man-made and natural disasters, such as fires, earthquakes and forced break-ins. Moreover, if an SME does unfortunately happen to face one of these incidents, the cloud service provider can help restore the data stored and saved in the cloud, making data restoration easy and hassle-free. This assists the impacted SMEs in becoming fully functional in a short time while minimising the inconvenience for customers. In the ever-changing world of finance and accounting, new trends are coming to the forefront every single day, and regulations are being updated by the minute. To gain a competitive advantage in such a fast-paced atmosphere, it is necessary that SMEs have access to systems that can help them move up the value chain. 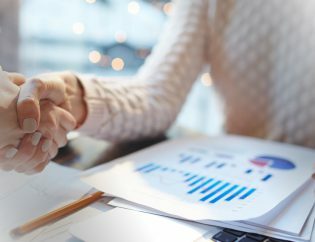 Therefore, outsourced accounting and finance is gaining fast pace among SMEs, and technology has empowered them to make the most of their resources. Client relationships are taking the centre stage, with more and more customers seeking on-the-go business solutions. Moreover, valued-based pricing models have made the market competitive, thereby offering a range of choices that SMEs can have their pick from. Considering all these aspects, the cloud is the most beneficial technology for SMEs, and outsourcing their finance and accounting to the cloud will help SMEs overcome their budget and resource constraints, offering the best value at the lowest possible price.